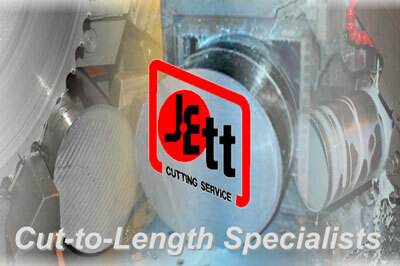 For over 30 years, Jett Cutting Service has provided precision Cut-to-Length services to the metals industry. Based in Bedford Park, Illinois a southwest suburb of Chicago, offers us the ability to provide prompt service to the Midwest. "You are one of the easiest suppliers we deal with, we could learn from you." "We are very satisfied with the cooperation and efficient manner you handled cutting numerous sizes from various randoms for the best yield! OUTSTANDING! Thanks for a Job Well Done!" "If you could only help our company run as well as you do." "Jett is doing fantastic work, Thank You so much!" "JCS does a great job on our purchased cut-to-length parts. We are very satisfied and look forward to doing much more business with Jett!" "You guys did a great job! We WILL use your services again, THANKS!